Lately I have been curious about emotional learning and the psychology behind our emotions. There is a great book by Susan David, Emotional Agility, that I cannot put down. It takes me a while to read a book because I reread paragraphs- sometimes my mind wanders, but other times I am writing furiously in the margins and truly thinking about the words on the page. This book is no different and it has challenged me to listen to my emotions and give myself the freedom to feel them- all of them. This past year has been full of transitions, which for me and most of us means a lot of feelings. After moving to a new place, starting a new job, and helping my partner find a job and start a new job, I was pretty tired. This was not my first time doing this, but it never gets easier. 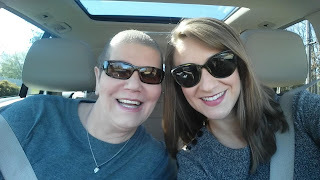 We were in Nashville for less than a month when I found out my mom was diagnosed with breast cancer. This was quite a surprise for our family and I felt a little jaded that God moved us halfway across the country, closer to North Carolina and our family, but still 7 hours away from their sweet faces. He should have known this was going to happen and why wouldn’t He put us in a better position to support and serve our family, our biggest priority? I felt pretty helpless and while a phone call a day does the heart good, it does not replace the warm hugs and smiles. I had hope, but I also had a lot of fear, uncertainty, and anxiety. My mind has never been so plagued with a thought and this is honestly something I still wrestle with everyday. Thankfully my mom is being healed, but the outcome is still not absolute. 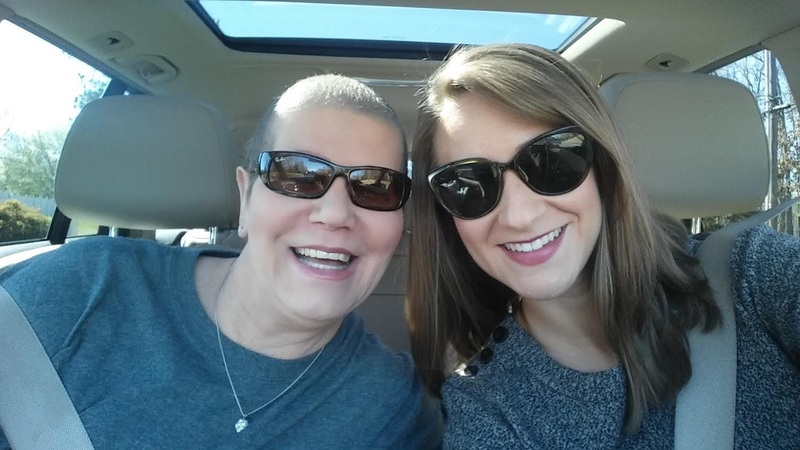 Her body is responding to the chemo, but the cancer still remains. If you have ever had anyone close to you experience this terrible disease, I am so sorry. I also want to give you permission to sit in the tension with all the beautiful and yucky feelings and breathe. That is all you have to do- be and breathe. Unfortunately, but fortunately, we cannot control much in this life, but we are able to feel. Another woman I have been looking up to lately is Lara Casey. Lara is a wife, mom, gardener, and creative human being. She creates inspiring Instagram and blog posts, but she is incredibly authentic. She was leading a webinar on goal-setting the other week and one of the nuggets that stood out to me was this concept of our complaints serving as clues. This goes very well with Susan David’s charge to be emotionally agile to get unstuck and thrive. Our emotions act as a radar for our lives and our complaints are the barometer. If we don’t have a friend honest enough to help us realize when our thoughts are having a negative trend to them, we have to be real with ourselves.That means, we must have a pulse on our emotions and ask ourselves why we are feeling this way. The goal is to know ourselves. Maybe the emotions are an internal signal to move, change, grow, or stay and we do not want to sell ourselves short and miss out on the true meaning, so we have to be keenly aware and incredibly still. However, as we might possess some self-awareness, stillness does not come as naturally to us and is definitely not supported by our fast-moving world. We must create the stillness and give ourselves the time and grace to sit in it. I want to end by putting a few questions out there. If our complaints are clues, what would happen if we listened to them? What do we need to change? Who do we need to ask for help? What emotions are we neglecting or bottling up inside? What does this mean for our careers, colleagues, and students? What do we need to do to live a fuller life?